A former Federal Heights Police Department officer pleaded guilty to attempted assault in June after he lost his cool with a robbery suspect, slinging the man into a refrigerator and punching him inside a holding cell. Mark Magness, who was fired in December after the incident, was sentenced to one year of probation and will pay court costs. It was the second time in Magness’ career that he was criminally charged for using excessive force against a suspect. In 2009, he pleaded guilty to reckless endangerment and was allowed to remain a Federal Heights police officer. Chief Karl Wilmes said he did not know why Magness was not terminated in 2009. He was not the chief during that investigation and told The Denver Post on Tuesday that he didn’t know the facts of the first case. However, he fired Magness on December 29 after fellow officers reported the incident to their commanders. Magness and a second officer involved in the December arrest recorded the encounter on their body cameras. 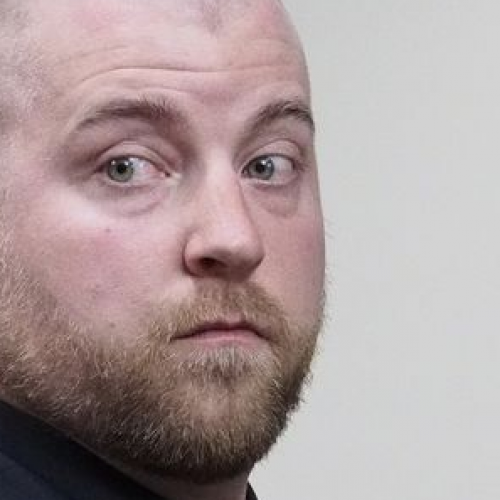 Wilmes declined to name the second officer or disclose how that officer had been punished for his involvement, saying it was a personnel issue. 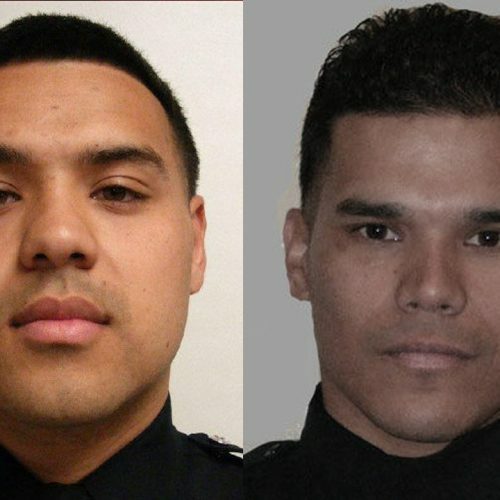 The second officer remains on the force. Don Sisson, Magness’ attorney, said his client no longer works in law enforcement. The firing will not be appealed, he said. The video began as the suspect arrived at a police station in the back of a patrol car. He was lying across the seat with his hands cuffed behind his back. When the suspect said he couldn’t get out, Magness dragged him out the door and onto the ground. They pulled the man to his feet, and he appeared to be drunk and unstable. As Magness escorted the suspect into the station, he flung him into a refrigerator. The man’s face was cut. Once inside the police station, Magness shouted and cursed at the suspect. 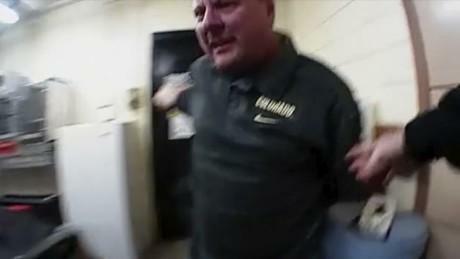 And when the suspect took a swing at the officer while in a holding cell, Magness jumped on him and began punching. Magness also shoved a restraint chair across the station, sending a metal garbage can careening through the room. 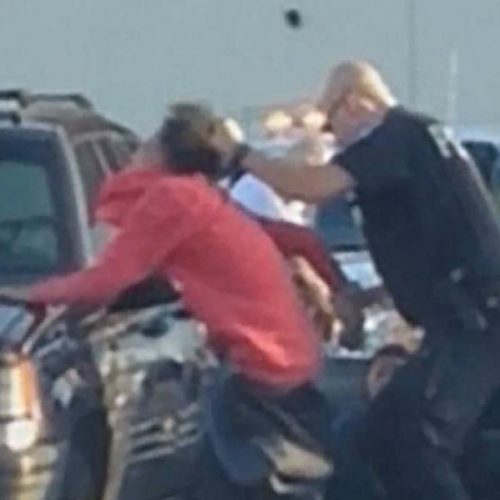 He ordered the other officer to tie the suspect into the chair while he held the man down while squeezing his temples. Magness replied, “No, this is ‘ow,’” as he drove a finger into the man’s neck. The other officer was seen motioning toward Magness in an effort to remind him that the body cameras are rolling. Magness also told the other officer not to worry about calling for medical help because the suspect’s face was bleeding. Once a sergeant arrived, Magness told him the suspect had taken a swing at him.